Alberto Najar (Oswaldo Cruz Foundation) is visiting LIEPP and OSC from the 2nd to the 18th of February, 2015. Alberto Najar received his Ph.D. in political science from IUPERJ (the institution changed its name for IESP) in 1997. He held the title of Scientist of Our State from the Rio de Janeiro State Research Foundation (FAPERJ) in 2000-2001. He was a Collaborating Professor under the Master’s Program in Political Science at the Institute of Philosophy and Social Sciences, Federal University in Rio de Janeiro (IFCS-UFRJ) and is currently a Professor and Researcher in the Department of Social Sciences at the National School of Public Health, Oswaldo Cruz Foundation (ENSP-FIOCRUZ) and Associated Researcher under CERES (Center for the Study of Wealth and Social Stratification)/IESP, specializing in urban sociology and the study of living and health conditions in urban areas. He has worked for more than 15 years in research on various aspects of the social division of cities, having published articles and a book on the theme, Saúde e Espaço: estudos metodológicos e técnicas de análise [Health and Space: methodological studies and analytical techniques], Rio de Janeiro, Editora FIOCRUZ, 1998. From 1999 to 2001 he was an advisor to the Rio de Janeiro Foundation Center for Information and Data (CIDE) in designing the SIREM project (Metropolitan Area Information System), aimed at developing a methodology for the eligibility of areas in Greater Metropolitan Rio de Janeiro for programs and/or policies in the field of urban development, based on socioeconomic variables, using the census tract as the principal unit of data aggregation. He coordinated the “Laboratory for Socio-Spatial and Political Analyses in Collective Health”. 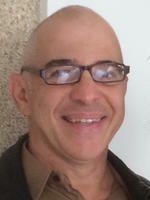 Alberto Najar has extensive work experience in networks, having coordinated (from 1989 to 1995) the team which implemented the Oswaldo Cruz Foundation Geographic Information System (SIG-FIOCRUZ) which provided the integration of five young researchers: three in specialization fellowships and two as Masters, eventually leading to three Ph. D. dissertations. Najar did his 12-month post-doctoral fellowship at the Observatoire Sociologique du Changement, Sciences-po, Paris, from February 2003 to January 2004 with Edmond Prétéceille. Between 2005 – 2007 he had been a team member in an international study on transformations in the urban social structure of Paris, São Paulo, and Rio de Janeiro (Social Structure, Segregation, and Urban Inequalities). The team consists of researchers from the Oswaldo Cruz Fondation/IESP (Adalberto Cardoso), Centro de estudos da Metrópole/CEBRAP (Eduardo Marques), and Observatoire Sociologique du Changement/OSC (Edmond Prétéceille, Marco Oberti and Hugues Lagrange). Since 2006 Najar has created and coordinates a study group on the theme of sociological aspects of inequalities in Brazil, formed basically by doctorate students and some professors in his institution. He is currently involved in the discussion of the vulnerability of socio-ecological systems to the health impacts of climate change and take part of huge project that is been analyzed by the scientific committee of CnPq named: Mudanças Globais: Vulnerabilidade-Impactos-Adaptação-Resiliência para a Sustentabilidade”, that will be coordinated by the Instituto Nacional de Pesquisas Espaciais, and which proposal will be submitted to Edital Número 16/2014 - MCTI/CNPq/CAPES/FAPs – Institutos Nacionais de Ciência e Tecnologia (Global Changes: vulnerability – impacts – adaptation – resilience for the sustainability).